One of the deadliest natural disasters in history unfolded on December 26, 2004, when a great undersea earthquake with a magnitude of 9.0 triggered a tsunami that devastated many coastal areas of the Indian Ocean, killing an estimated 283,000 people. The Sumatra-Andaman earthquake had an epicenter located 100 miles (160 km) off the west coast of Sumatra, and struck at 7:58 a.m. local time. This was a very unusual earthquake, in that the rupture (and quake) lasted between eight and 10 minutes, one of the longest times ever recorded for an earthquake. The hypocenter, or point of first energy release, was located 19 miles (30 km) below sea level, and the rupture length of the fault extended to a remarkable 750 miles (1,200 km) along the coast of Sumatra. Shaking from the earthquake was felt as far away as India, Thailand, Singapore, and the Maldives. The energy released by this earthquake was so great that it set the whole planet into a set of slow oscillations where all locations on the planet were vibrating back and forth by 8-12 inches (20-30 cm) initially, with a force roughly equivalent to the attraction between the Earth and Moon. The surface waves from the earthquake also traveled around the planet, producing a vibration of at least one-third of an inch (1 cm) everywhere on the planet. These vibrations gradually diminished in intensity over a period of a week, until they became so small that they were difficult to measure. The amount of energy released by this earthquake alone was roughly one-eighth of the energy released by all earthquakes on the planet in the past 100 years. wide rupture formed, ripping the rocks of the sea-floor at a rate of 1.7 miles per second (2.8 km/sec), or in other words, at 6,300 miles per hour (10,000 km/hr). This rupture not only occurred rapidly, but represents the biggest rupture known to have ever been created by a single earthquake. After a break of less than two minutes, the rupture continued to propagate northward from the Aceh area at a slower rate (1.3 miles per second, or 2.1 km/sec) for another 500 miles (800 km) toward the Andaman and Nicobar Islands. 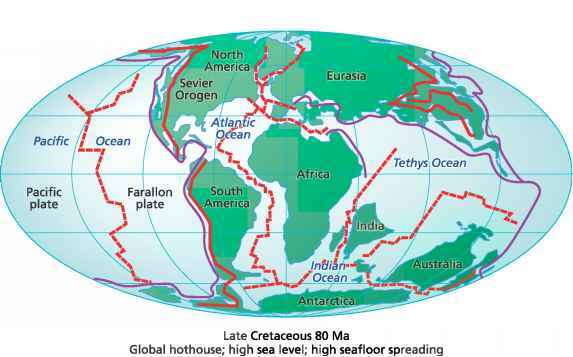 Displacements of the seafloor changed the capacity of the indian ocean basin to hold water, slightly raising global sea levels by about 0.03 inch (0.01 cm). submarine sonar surveys of the seafloor by the British Navy vessel H.M.s. Scott revealed that several huge, fault-related submarine ridges collapsed during the earthquake, creating submarine landslides, some as large as 7 miles (10 km) across. The amount that these contributed to the formation of the tsunami is not known, but certainly less than the huge displacement of the entire seafloor of the forearc. The vertical component of motion of the seafloor during the earthquake is estimated to have displaced about seven cubic miles (30 km3) of seawater, producing a tsunami that radiated outward from the entire 750-mile- (1,200-km-) long rupture area, eventually reaching most of the world's oceans including the Pacific, Atlantic, and even the Arctic Ocean. The tsunami continued to travel around the Earth for days, with very small amplitudes. Thousands of aftershocks followed the main earthquake for days and months after the main event, gradually decreasing in strength and frequency. The largest of these was a magnitude 8.7 event that occurred on March 28, 2005, in virtually the same location along the same fault, with events of up to magnitude 6.7 continuing for more than four months after the main earthquake. The distribution of aftershocks greater than magnitude 4 outlines an area beneath the forearc of the Sumatra-Andaman arc that moved or slipped as a result of the earthquake. The slipped area is roughly the size of the state of California. The amount of energy that was released in the December 26, 2004, Sumatra earthquake is staggering. Estimates vary between energy equivalents of 250-800 megatons of TNT, or the amount of energy consumed within the entire United States over 3-11 days. This energy caused some interesting effects. First, the change in the shape of the Earth caused by the displacement changed the length of the day by a minute amount (2.58 microseconds). However, this effect is already worn off since the tidal friction of the moon increases the length of the day by about 15 microseconds per year. The change in mass distribution also changed the amount the Earth wobbles about its rotational axis by about an inch (2.5 cm), but since the natural wobble is about 50 feet (15 m), this is not a large amount and will be evened out by future earthquakes. In addition to triggering one of the worst tsunami disasters of history, the December 26, 2004, Sumatra earthquake awakened the dormant volcano of Mount Talang, which erupted in Aceh Province in April 2005. This is one of the rare cases where energy from an earthquake can convincingly be shown to have initiated other geologic activity. results show that it is possible to develop a satellite-based tsunami warning system. Radar satellites showed that while in deep water, in the middle of the Indian ocean, the tsunami had a maximum height of only 2 feet (60 cm) and that the wave rose to enormous height when it moved into shallow water. For instance, the wave was more than 80 feet (24 m) high as it approached much of Aceh Province in Indonesia and rose to 100 feet (30 m) or more in some places as it moved inland. In some places the wave moved inland by more than 1.25 miles (2 km). Since the fault that produced the December 26 earthquake and tsunami was oriented nearly north-south, and the motion of the upper plate was up and to the west, most of the energy of the tsunami was focused into an east-west direction. Therefore the biggest tsunami waves moved westward from the 750-mile- (1,200-km-) long fault rupture, while smaller waves moved out in all directions. Many areas along the coast of northern Indonesia were hit quickly, less than 15 minutes from the initial earthquake, while it took the waves 90 minutes to two hours to reach the southern end of India and Sri Lanka. The tsunami hit parts of Somalia several hours later, and swept down the African coast until it struck South Africa about 16 hours after the quake with a crest five feet (1.5 m) high. Tidal stations in Antarctica recorded a wave three feet (1 m) high, with oscillations lasting for a couple of days after the first wave. The energy from the wave next moved into the Pacific and Atlantic Oceans. Some unusual focusing of the wave energy may have occurred, perhaps by the mid-ocean-ridge system, since some of the waves that hit the west coast of Mexico were 8.5 feet (2.6 m) high. The Indian ocean tsunami was particularly tragic because there was no tsunami warning system in place in the Indian ocean, and most victims were taken by total surprise when the tsunami struck their areas. Even though the wave took hours to move around the ocean, there was not even a simple telephone communication network set up to alert residents of one coastal community that others had just perished in a tsunami, and the tsunami was moving their way. Such a simple warning system could have saved tens of thousands of lives. Since the tragedy of December 26, 2004, countries of the Indian Ocean have worked with the United Nations and other countries to establish a tsunami warning system that includes not only the Indian Ocean but also the Atlantic and Caribbean. In most places the tsunami struck as a series of waves after an initial retreat of the sea, followed by a large crest moving ashore. There were about 30 minutes between each wave crest that rose into coastal areas. In most places the third wave was the largest, although many smaller tsunami crests continued to strike throughout the day. 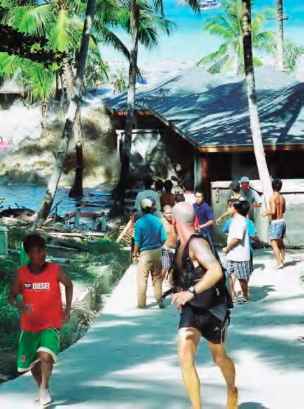 In a few locations people recognized early warning signs of the tsunami and successfully evacuated to safety. The most famous case is that of 10-year-old British citizen Tilly Smith, who paid attention to her studies about tsunamis in school and knew that when the waters on the beach rapidly retreat it is a sign of an impending tsunami. Tilly frantically warned her parents, who led an evacuation of the beach, saving many lives. Likewise, a Scottish science teacher named John Chroston recognized similar warning signs in a bay north of Phuket beach on Indonesia, and took a busload of tourists away from the beach front, saving lives. 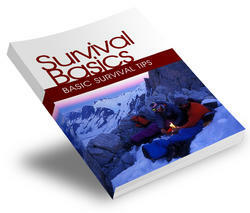 Some native communities also recognized early warning signs and retreated to safety. For instance, islanders on Simeulue, near the epicenter, fled away from the coast after they felt the initial earthquake, undoubtedly saving many lives. In some of the more puzzling responses to precursory phenomena, it is reported that elephants and other animals on some Indian Ocean islands of the Maldives chain south of India fled inland before the tsunami struck. Elephants have very astute hearing and may have felt the ground shaking from the approaching tsunami, so ran in fear into the dense forest. Many countries in southeast Asia have developing economies and often sacrifice environmental concerns to advance economic development. To this end, some of these countries including Indonesia have been promoting the development of the shipping industry and the growth of shrimp farming in coastal regions. Many coral reefs have been blown up and coastal mangrove forests destroyed to let these industries grow faster. In other places coastal sand dunes have been removed to enhance growth of the coastal region. All of these natural ecosystems are fragile coastal systems that not only preserve habitats for a diverse set of species but also serve as a powerful shield from the force of incoming tsunamis. In areas where the reefs and forests were preserved, for instance the Surin Island chain off Thailand, the force of the tsunami was broken by these natural barriers. In other places, where these barriers have been removed, the waves crashed ashore with much greater force, killing those who would seemingly benefit by the destruction of their natural protective barrier. Many governments began to realize the value of these natural barriers after the tsunami and may make efforts to reverse, stop, or slow their destruction. What plate interaction created the december 26 2004 tsunami oceanicoceanic? What kind of plate boundary produced tsunami od Dec 26, 2004? What kind of plate interaction occured that caused a tsunami on december 26? What plates moved to cause the tsunami of dec 26 2004? What two tectonic plates were involved in the December 26 2004 tsnuami? How to describe the December 26 2004 Indian Ocean Tsunami? Which tectonic plates made indian ocean tsunami? What tectonic plate is thailand on?